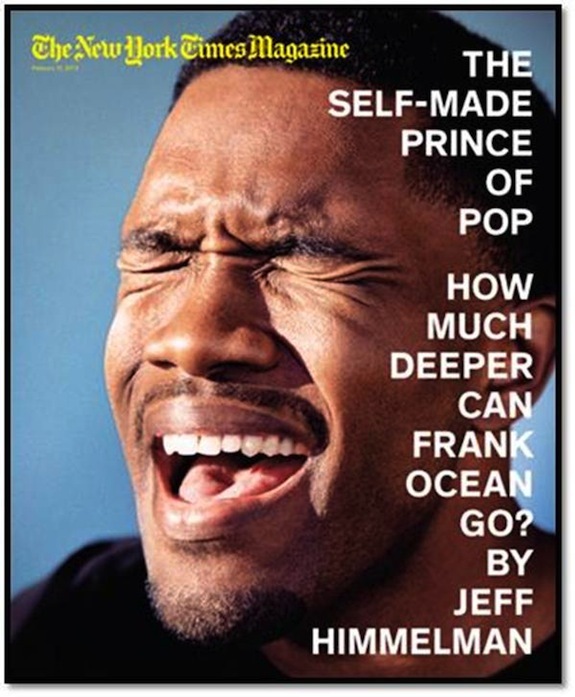 Home>News> Frank Ocean Covers "New York Times Magazine"
Frank Ocean lands the cover of "The New York Times Magazine", along with an accompanying article. Frank Ocean has been in the news a lot lately, between his brawl with Chris Brown and his upcoming Grammy performance, and now the R&B croonerhas just landed the cover of The New York Times Magazine. The accompanying article takes a look at Franks' everyday life, as well as his upbringing and the creation of Channel Orange. Check out some excerpts from the article below. Read the full story here, and view the cover below. NEWS Frank Ocean Covers "New York Times Magazine"